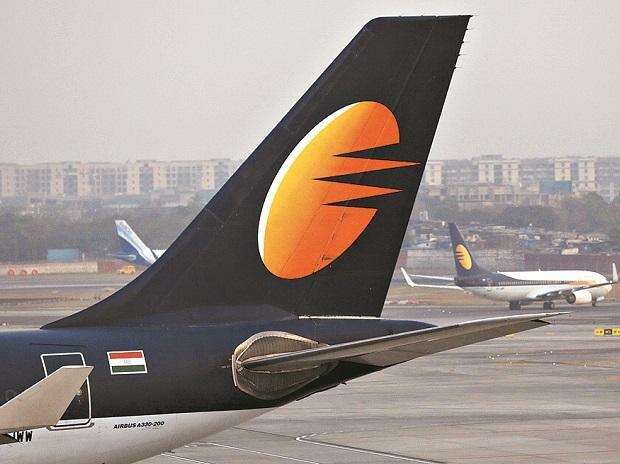 Jet Airways has slipped to the fourth position in domestic market following grounding of over half of its fleet and with no resolution in sight, its pilots union have sought Prime Minister Narendra Modi's intervention to protect the airline. Many pilots are also leaving the airline and around 260 of them attended interview at SpiceJet today. IndiGo continued its leadership with 43.4 per cent market share in February while Jet Airways slipped to 11.4 per cent share below SpiceJet (13.7) and Air India (12.8). Jet's market share fell nearly two percentage points over January. Domestic airlines flew 11.3 million passengers in February registering a growth of 5.62 per cent on a year on year basis. This is second consecutive month of single digit growth after over four years continuous double digit growth. In January the year on year traffic growth was 9.1 per cent. Industry experts said traffic growth had slowed down due to capacity constraints and increase in fares. Fares have been on the rise since start of the year as airlines focused on yield growth. Last minute fares have surged now due to massive cancellation by Jet Airways forcing the civil aviation ministry to issue advisories to other carriers. National Aviators Guild, Jet Airways pilots union has written to the Prime Minister to highlight their concerns. Pilots, engineers and senior management members have not been paid since December. On Tuesday the union members took a collective decision to stop flying if no resolution plan is finalised by month end. Later in the night the airline's chief executive officer Vinay Dube told the pilots the airline was looking for a potential investor but could not give a firm deadline on payment of salaries. "We urge your good office to intervene and have the management release our salaries. We fear that the airline is on the verge of collapse and this will leave thousands of people unemployed," said Tejinder Sood, general secretary of National Aviators Guild. The pilots union has also sought a direction that all employees are treated at par and no one is discriminated by the management.